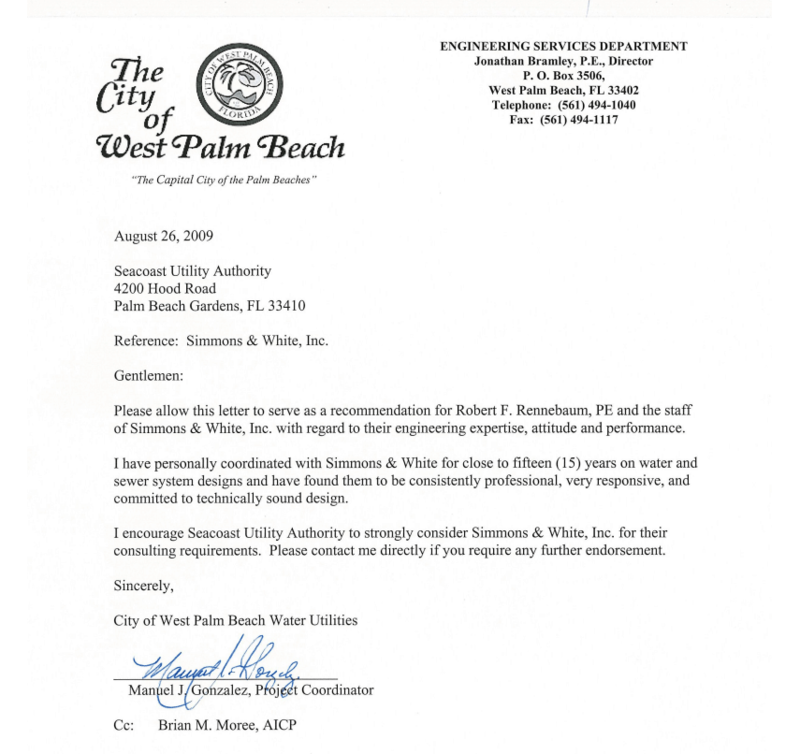 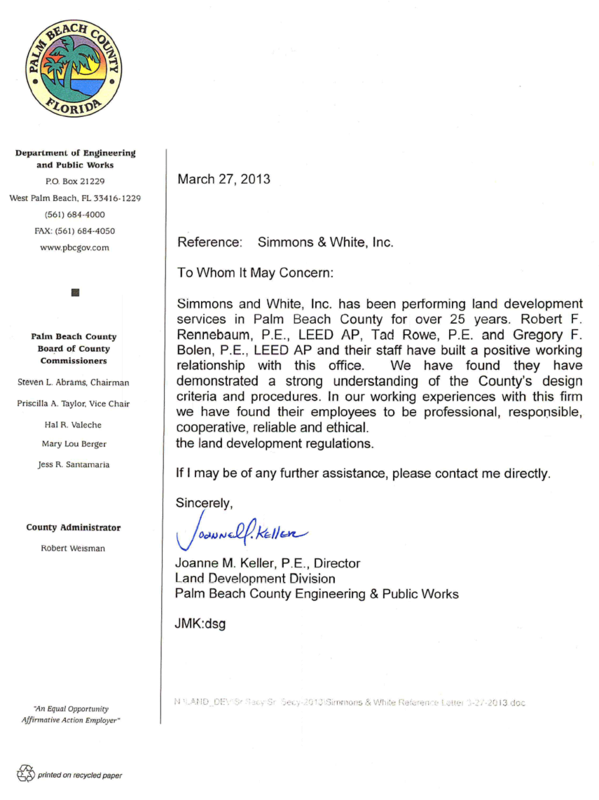 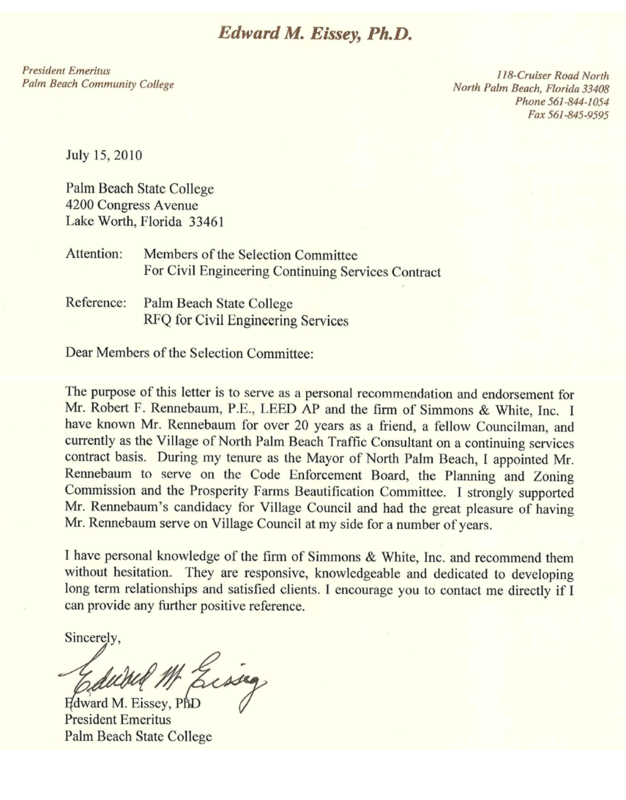 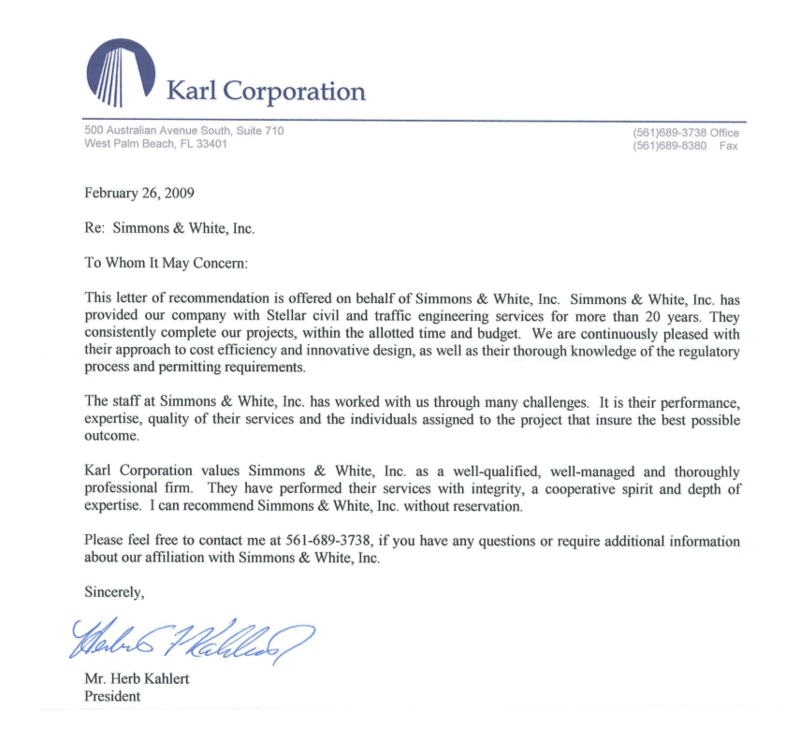 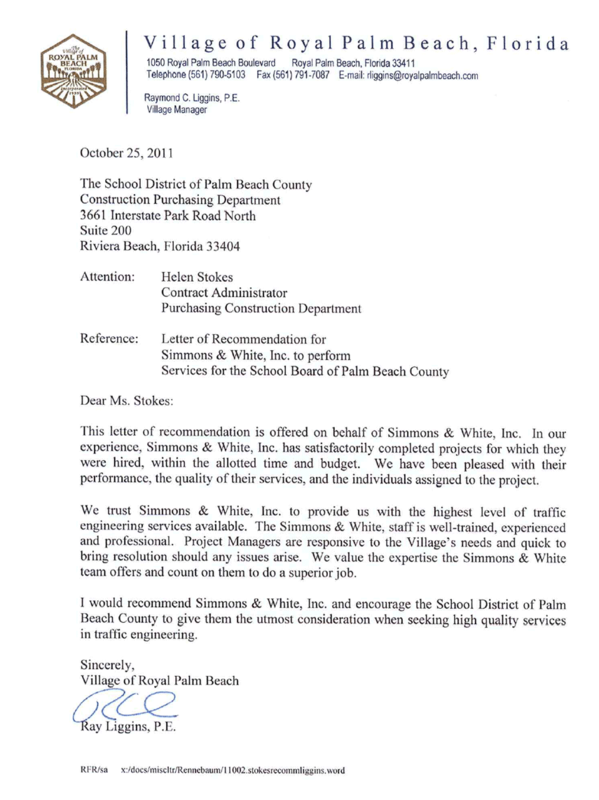 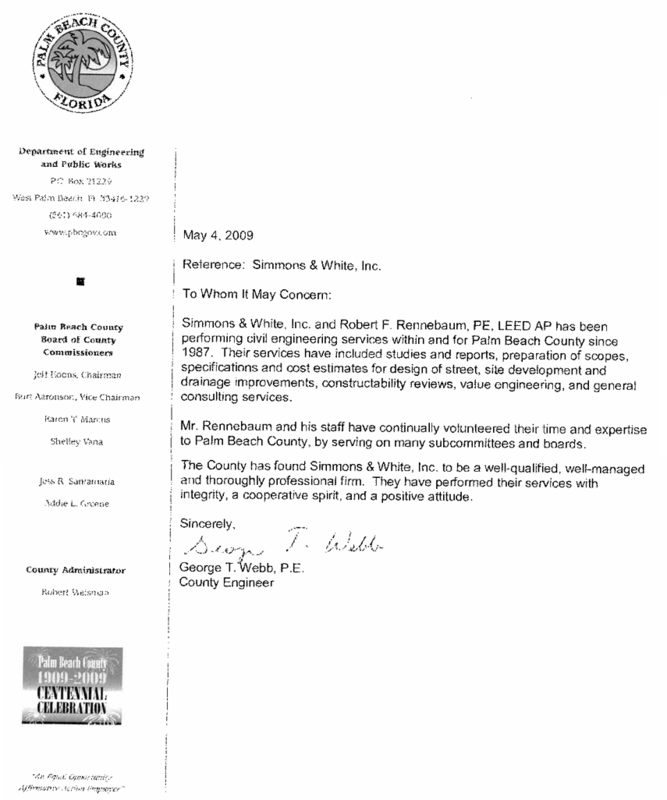 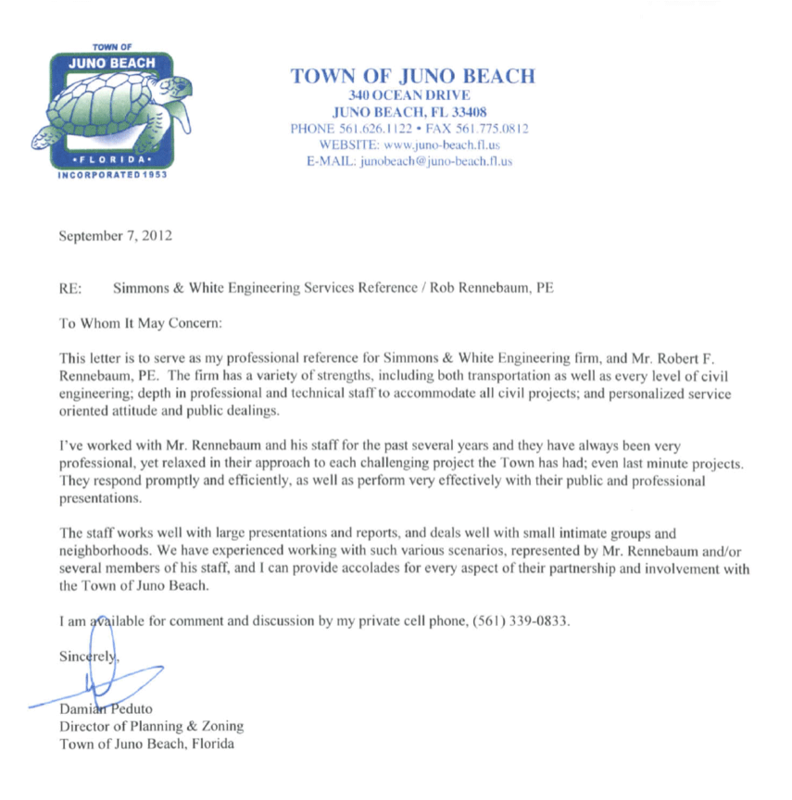 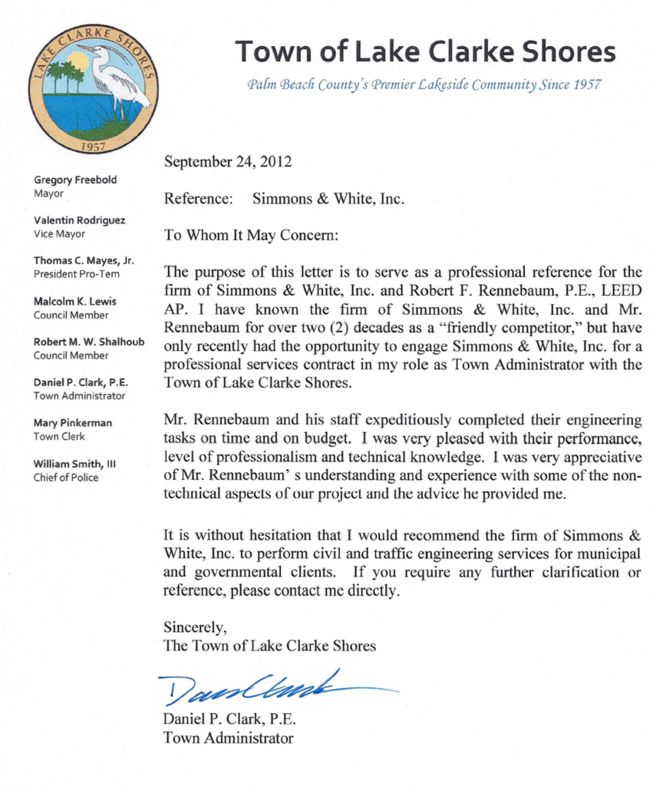 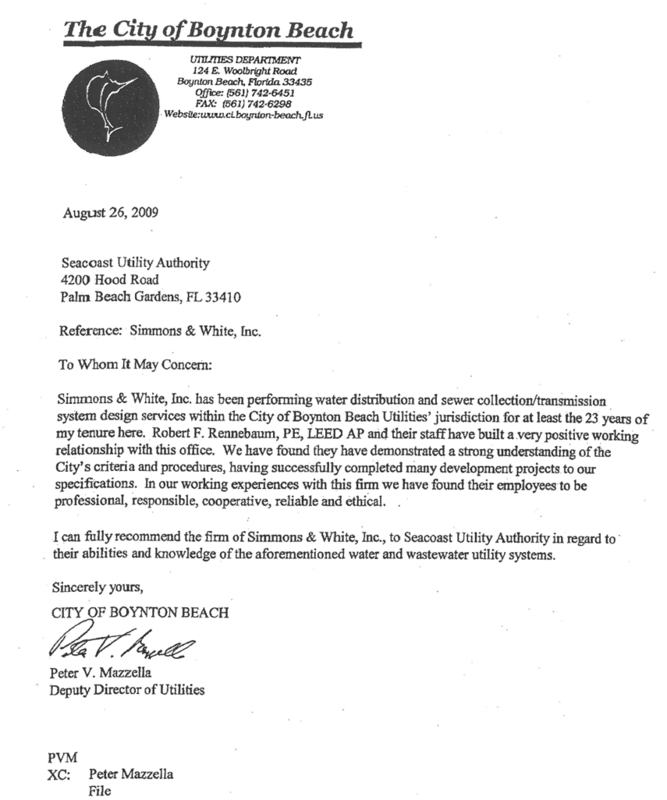 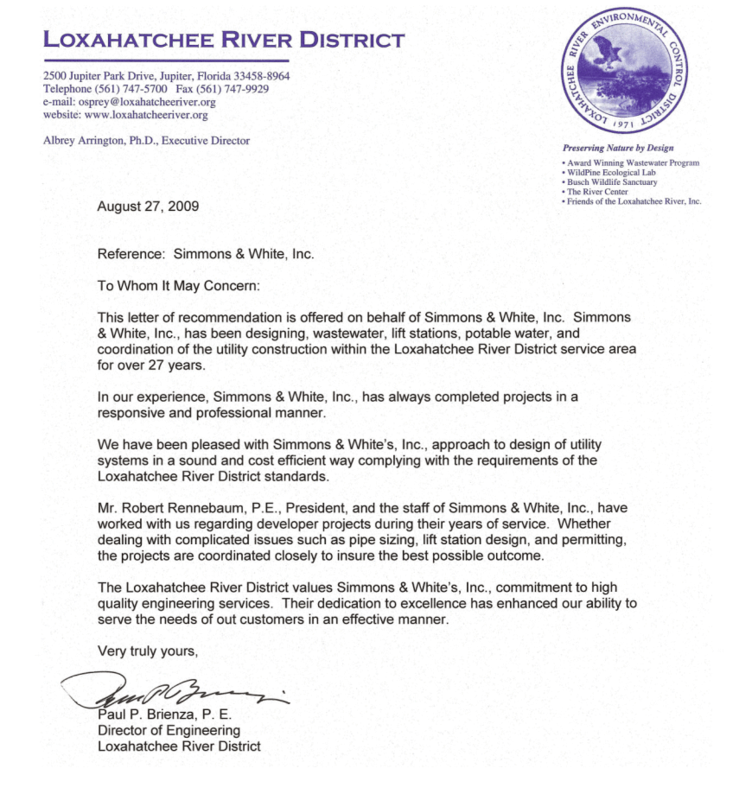 Testimonials | Simmons & White, Inc.
Simmons & White is Florida’s engineering firm. 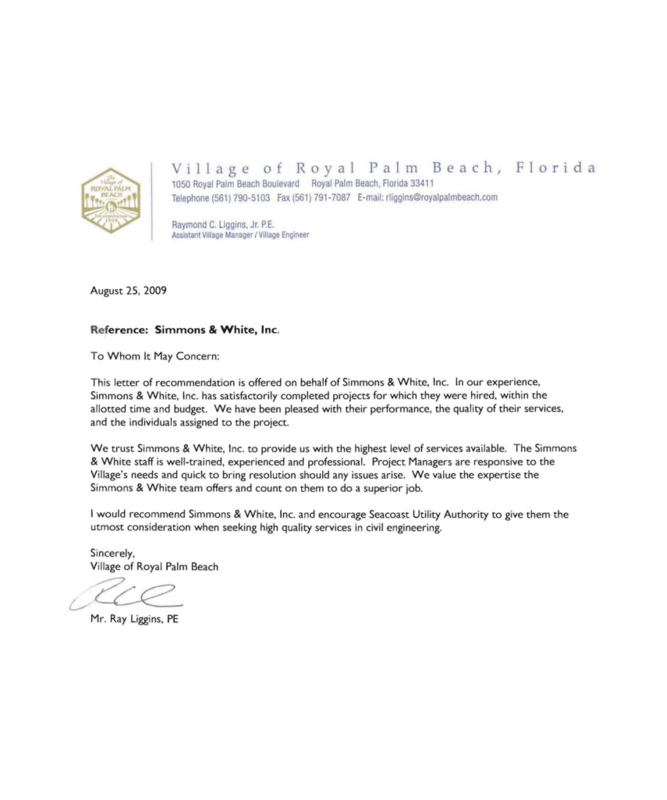 Some of the most respected developers, architects, land planners, municipalities and companies trust their projects to Simmons & White. 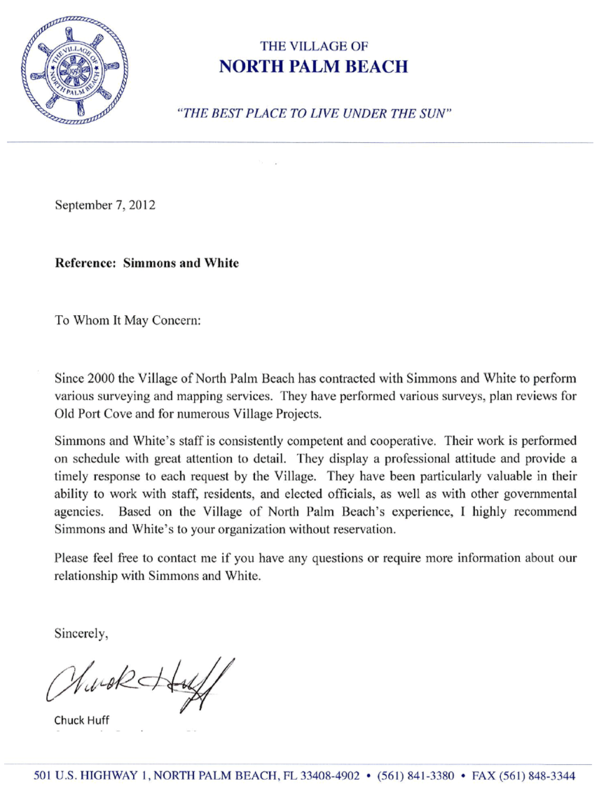 You can trust your project to us as well. 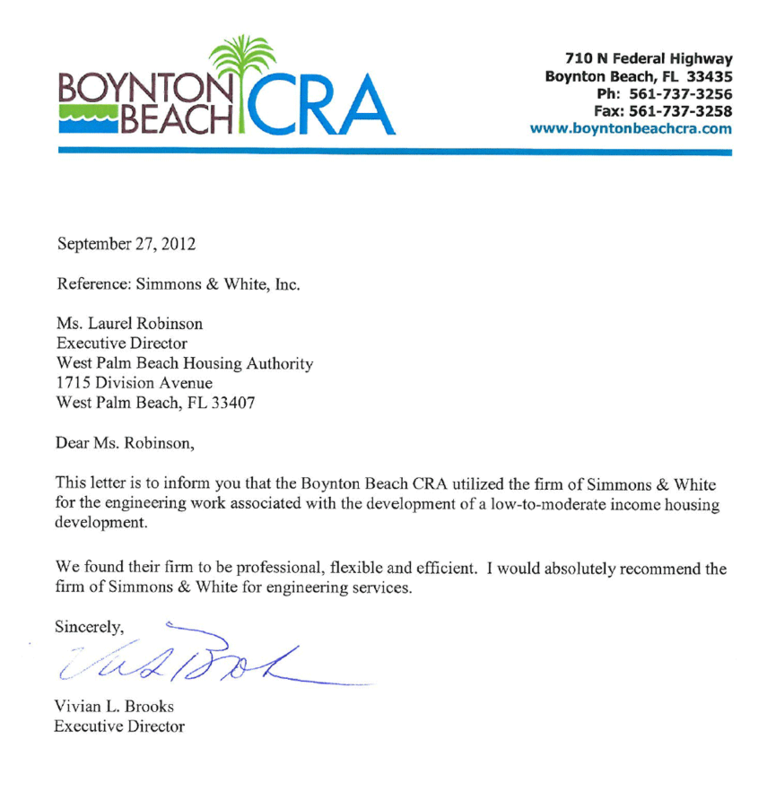 Below you will find actual testimonials from current and past clients. 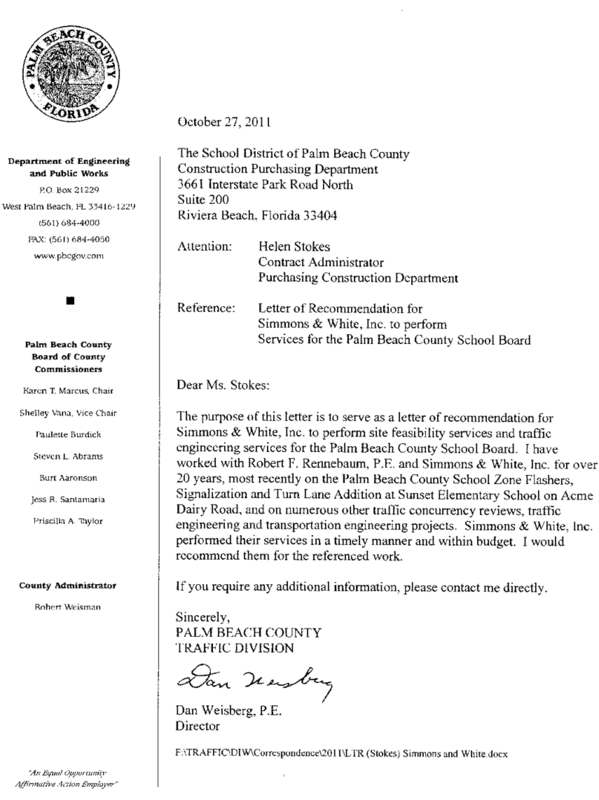 For more information regarding civil-engineering services in Florida, please call us anytime at (561) 478-7848.